Juventus coach, Massimiliano Allegri has said it is “fantasy” to think Manchester United midfielder, Paul Pogba will play for the Italian side again. The midfielder enjoyed four successful years at Juve after joining the club as a youngster from United in 2012. He returned to Old Trafford in 2016 for a then-world record transfer fee of £89m but the World Cup winner struggled under Jose Mourinho this season prompting suggestions he could re-sign for Juve. However, the 25-year-old France midfielder appears to have been revitalised by United’s decision to bring in Ole Gunnar Solskjaer as caretaker manager to replace Mourinho. He has been United’s standout player over the last month as they have won eight games in a row, including a 3-1 victory at Arsenal in the FA Cup on Friday, leaving Allegri to accept there is little chance of Pogba making a return. “Oh my… you [journalists] have such fantasies,” the Juventus head coach told Skysports on Saturday. “I think that a return of Pogba to Juventus is very, very unlikely. The post Transfer Latest!! 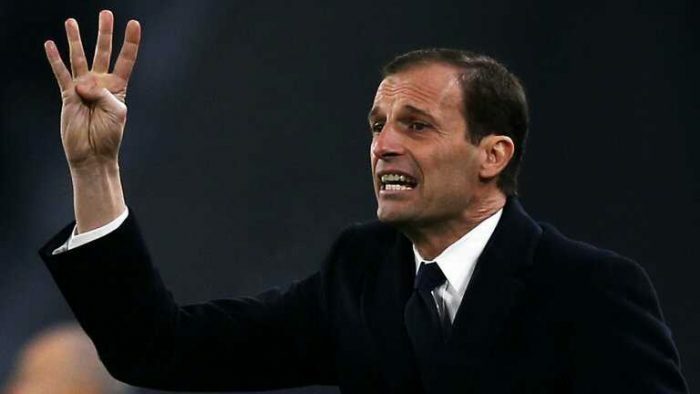 Allegri Speaks On Pogba’s Return To Juventus appeared first on Naijaloaded | Nigeria's Most Visited Music & Entertainment Website.